Get your professional or business friend this magnetic paperweight to remind them of things other than work while they're slaving away. 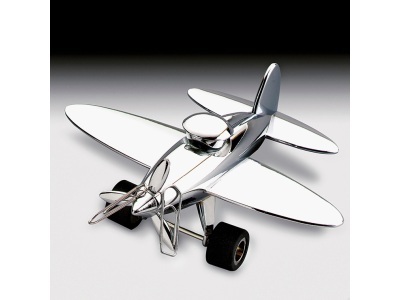 This paperweight is shaped like a slick little plane and made of stainless steel. It is also magnetic so paper clips stick to it. Stick this on their desk so they can keep in mind that holiday they are at work saving for. Purchase the Magnetic Travel Paper Weight from Packed Full of Loves Web Based Present Shop. This is the perfect gift for someone who works hard to play hard. Remind them of their goal while also giving them a practical gift that they can use on their desk. Packed Full of Love is Australia's newest Online Present Shop with birthday, Christmas and other occasion presents for him, her, children, babies and more. Come in and browse our selection today!